The Settlers gave Indians small pox blankets. Native Americans gave early explorers Syphilis. Sometimes, people we think are friends or allies can actually be harboring things that will slowly kill us. Tommy Tuberville's old offenses at Auburn are like that. Sure, you might have gotten a nice track record. You think, hey I can trust this guy. Look what he did at Auburn. Maybe I can borrow one his assistants, learn some things, and we'll all be better. That's what he wants you to think. News came down yesterday that another of Auburn's Former Offensive Coordinators has been hired to run a school slowly into a wall. Noel Mazzone a guy, it was a decisions as @firewillheath put it perfectly: "anytime you have a chance to lock up a guy who failed miserably at AU, NC State (w/Rivers!) & Ole Miss, you have to do it." First for any Arizona State fans, I'm sorry. I hope it works out. However, here is your warning. You've hired a former Auburn Offensive Assistant, specifically one that . That's not going to end well. It rarely does. At least I thought it didn't. Noel Mazzone (1999-2001) - The jury's still out on Mazzone. Former track record aside, there has to be something other coaches see in him, otherwise he wouldn't keep getting job offers. However, something has to be said about the fact that the OC that was with Tuberville the longest (since 1995 when Tubs was at Ole Miss) is also the one that keeps struggling in new jobs. We'll see what he can do at Arizona State. Bobby Petrino (2002) - The less said about this the better. We all know where Petrino is now, and how bad Auburn wanted to get him back. Well, maybe not Auburn, just a guy who signs a lot of checks to Auburn. Al Borges (2004-2007) - Personally, I was fine with Borges. I've met the guy before at Auburn baseball games and can honestly say he loved Auburn. I still stand by the assertion that it was Auburn assistants and not Borges that led to the decline in Offense after 2004. However, Tuberville wanted Tony Franklin and his spread, rather than stick out another season with Borges. Tony Franklin (2007-2008) - Again, we know how this story ends. No need to rehash it. So how are these coaches doing now? Most are doing pretty good. Franklin settled in at Middle Tennessee and guided the Blue Raiders to a Bowl win and their best season in D-1A. Borges is at San Diego State now. Although the record doesn't really reflect it, the Aztecs improved in most statistical categories including QB Rating, Points, and Passing Yards. Bobby Petrino? We know. Except for a scary turnover as the Offensive Coordinator Position during Tuberville's tenure, the core group of assistants stayed put ("The Barbeque Bunch"). They included Greg Knox (WRs/TE), Steven Ensminger (QBs), Hugh Nall (Offensive Line), and Eddie Gran (RBs). We'll exclude Ensminger (who is now coaching High School football) and Hugh Nall (who is building a trucking empire in Georgia). Knox is Running Backs coach at Mississippi State. His work with Anthony Dixon should speak for itself. Gran was at Tennessee and is now at Florida State. The Grim Reaper of College Offenses. I don't think I've ever seen a coach so less involved with one side of coaching then Tommy Tuberville. It was like he could care less when the O was on the field. That's what troubles me with the Tubs to Texas Tech rumors. Evan Woodberry wrote a column detailing what Tuberville would have to do to win over the Texas Tech faithful. While I agree in principle, a lot of what he's asking Tuberville to do is completely unlike the Tuberville we knew at Auburn. He might get a good group of assistants, but that group is going to exclude the best of the BBQ Bunch (Gran) and might include the worst (Ensminger). Also, who's to say he wouldn't completely overhaul the coaching staff and offensive identity. Tuberville spent one season with a spread offense and it ultimately cost him his job. But the intangibles are what really confuses me about Tech wanting Tuberville. -He hates cold weather. It snows in Lubbock. I've seen it. It also rains mud, but that's neither here nor there. -Leach was fired for "insubordination" and constantly being at odds with the administration. 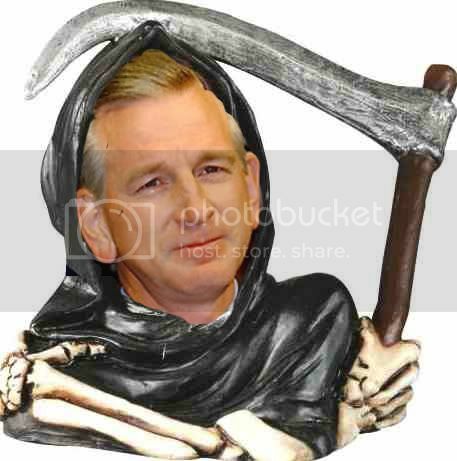 Tuberville was never one to live and let live with the Auburn administration either. Granted the fault was on both parties in Auburn's case. When Butch Davis left the University of Miami for the Cleveland Browns' head-coaching job, Tuberville's name popped up on the speculation list. He quickly said he wasn't interested. As he put it, "I've got the best job in the world right here." Tuberville got the best job in the world by doing a heckuva job at Ole Miss, winning 30 games in five years, then breaking the Rebels' hearts by switching to the side of another SEC West rival. Ole Miss' loss was Auburn's gain. In Tuberville's second year, the Tigers-picked to finish in the second half of their division-won the West. That's from a 2001 article. After just 2 years at the Auburn job. Bottom Line, I have no dog in the Texas Tech fight. However, you have expect a bit of media scrutiny if you are Texas Tech if you DON'T hire Ruffin McNeil. Especially after his Alamo Bowl debut. If Tuberville goes to Tech, more power to him. I just hope Texas Tech knows what they are getting into.